Procrastination can become a bad habit. You become less productive but more overwhelmed with what you aren't doing. This can lead to feeling stressed and demotivated, as you become burdened by thoughts of things you need to do and should have already done. Don't put off until tomorrow what you can do today. It's time to overcome procrastination and let nothing hold you back! Do you spend more time thinking about getting things done than taking action? Do you imagine doing great things in life but seldom get around to starting? Do you have a habit of putting challenging tasks to the back of your to-do queue? Procrastination is the action of delaying or postponing something. We all do it, but it can become a bad habit; one that forms a mental barrier and begins to dictate your life. When you fall into a habit of procrastination, it becomes easier not to take action, and doing the task becomes almost unapproachable. Instead, you think about doing it, you imagine doing it. You may even imagine the enjoyment of doing it, or the benefits of completion, but still you resist the action. Instead you put easier tasks to the front of the queue, perhaps ones that can be done very quickly with minimal effort, or ones with an instantaneous reward. You may not even understand why you procrastinate over certain tasks and not others, but we usually procrastinate over doing things that take more effort and commitment, or may make us feel a little uncomfortable for a while. Think about putting on your trainers and going for a run for the first time in ages. In your head you know that it will take some effort, and the sweating and panting that you have to go through will be a little uncomfortable. But you also know that you need to get started, that it will be of huge benefit. You know that once you start you'll feel a good sense of achievement, and if you run regularly you'll reap the benefits. But then you'll use any little excuse to put that run-off: perhaps you feel more tired than usual, perhaps it's raining outside, or perhaps it's too late and you've got an early start in the morning, or maybe you decide that going to see a friend or shopping is a more important thing to do right now. Procrastination dictates a pattern where certain tasks and undertakings are always put to the back of the queue. You tell yourself that you will do it, that you have every intention of doing it. You even tell other people such as your friends and family that you are going to do it, and you may even become hostile towards anyone that questions your intention. But you're just not going to do it right now, and putting it to the back of the queue means you can put i tout of your mind, for now at least. It's easy to fall into a cycle of habitual procrastination, and it can become a lifestyle that dictates how much you succeed in life, in both your work and personal life. Ironically, instead of finding comfort in doing less and avoiding a challenge, procrastination can lead to stress and anxiety – because the to-do list mounts in your mind and the thought of everything you have to do can become overwhelming. It's no big deal to put off something now and again when you're not feeling up to it; this is quite normal. But if you find yourself in a position where you are regularly putting off important things and it is affecting your life in a negative way, then you need to address the procrastination. The good news is that our Procrastination Meditation can helps you break this habit, recondition your mind and become the director of everything you do! 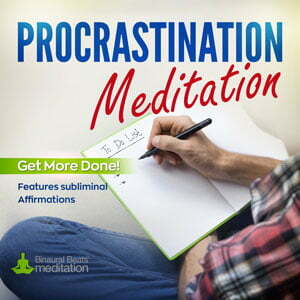 The Procrastination Meditation uses subliminal affirmations. These are positive statements recorded below the level of human hearing capability. When played through headphones or speakers, these messages reach your subconscious mind, where the hard-wired beliefs that shape your habits behaviors are stored. 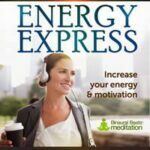 With regular listening, these subliminal messages will remap your subconscious mind, replacing negative beliefs and habits with positive ones. The result is a transformation in the way you think and behave. 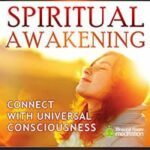 Because it can't hear them, the conscious mind is not aware of the subliminal messages within the music, which means it cannot dispute, judge or block them; as we normally do with audible messages. Instead, the messaging goes straight to your subconscious mind. 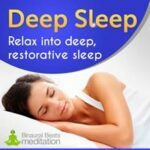 When listening to the relaxing music, the conscious mind relaxes into heightened receptivity, allowing the positive affirmations to flow into your subconscious mind, undisrupted by the self-limiting beliefs that control your everyday habits. The positive affirmations will override those procrastination barriers we all find it difficult to get over from time to time: “This will take ages”. “I'm not good enough to do this”. “I might not be able to do it”. “It's going to hurt/make me tired”. “I'll do it tomorrow”. Consider what all those phrases above have in common. They are all linked to self-doubt and fear. 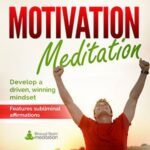 The Procrastination Meditation uses Theta waves to take your mind into a deep state of receptivity, enabling the subliminal affirmations to better penetrate your subconscious mind. The Theta state is generally known as the state of meditation and some of the proven benefits of meditation are greater mental clarity, better focus and higher productivity. The main frequency used in the Procrastination Meditation is 6 Hertz (Theta). 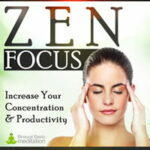 The frequencies in and around the 5, 6 and 7 Hz zone are associated with inner guidance, creative visualization, memory stimulation and productivity, all of which are beneficial to overcoming the mental barrier of procrastination. The musical composition is tuned to 741 Hz. This frequency is taken from the Solfeggio Scale, also known as the “ancient scale”. This frequency is associated with solving problems and finding solutions. Again, this contributes to the overall goal of reducing procrastination and creating a “can do, will do” mindset. The music features natural ambience in the form of ocean waves brushing the seashore. We specifically choose this sound design because studies have shown that listening to natural sounds like sea waves, or a water stream, help improve mood, productivity and concentration. 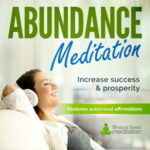 The meditation features 15 affirmations. These positive affirmations loop in a cycle underneath the music. An audible affirmations recording is also provided (as an additional track), in which the affirmations are featured over the music. The downloadable program contains 3 different versions of the music. Here's what you'll receive by email once you place your order. Track 1 (30 min & 1-hour versions): Music with Theta binaural beats and subliminal affirmations. Headphones required for full effects. Track 2 (1-hour version): Music with Theta binaural beats and audible affirmations. Headphones required for full effects. Listening through speakers will also offer the benefit of positive reinforcement through the audible affirmations. Track 3: (2-hour version): Silent affirmations recording. No music can be heard. Headphones not required. * Note: the 1-hour version of Track 1 is an extended version designed for a longer listening experience. The audible affirmations version contains spoken-word affirmations, as opposed to the standard versions which contain inaudible (silent) subliminal affirmations). Using headphones: For the full experience, you should listen through headphones. You can be seated or lie down, whichever you prefer. Please note that the Theta binaural beats (frequencies) used within the music may induce a very relaxed state, so please do not listen while driving or operating machinery. Through speakers (no headphones): You can listen while you work, read or engage in any other activity whereby you are in earshot of the music. You can also listen while you sleep. Please note that listening in this way will not have the added benefit of the Theta binaural beats, which require headphones to be fully effective. That said, the musical composition is designed to be relaxing, so you will still feel relaxed while listening. And listening without headphones over speakers will give you the full subconscious entrainment of the subliminal affirmations. 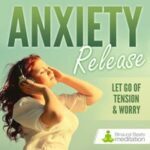 With or without headphones: You can listen to the silent affirmations version using headphones or through speakers. To do this, we have provided you with a 2-hour version of the silent subliminal affirmations audio. This version contains just the subliminal affirmations (no music or Theta binaural beats). You won't actually hear anything when listening to this track, but the subconscious entrainment will be taking place. This method is useful when you don't want music on or have other people in earshot that you don't want to distract. It also means you can listen on repeat without any sound disturbance. This is ideal when you are sleeping. Initially, we recommend listening to the program for at least 1-hour each day for 2 weeks. After that, you can set your own listening schedule and use the music as and when you need to. It's time to stop procrastinating and start getting things done! Download the Procrastination Meditation now!